Sometimes the picture you insert into your presentation may look a little too dark. Fortunately, there are some rudimentary controls you can use to lighten the image. 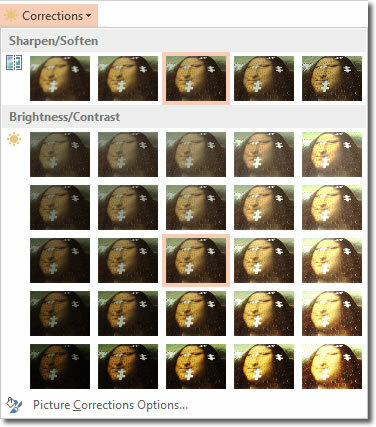 We are not talking Photoshop features here, but you can make considerable adjustments to an image’s brightness. When you select an image in PowerPoint, you should see the Format tab within the Picture Tools tab appear. This is a “context sensitive” tab and only appears when a picture is selected. On the Format tab, you will see the Corrections command, and this is a good place to start on your quest to lighten up that image. 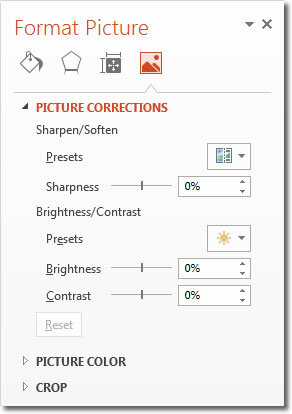 Clicking the Corrections command opens up the Corrections gallery of presets. Hover over each option to see a live preview on your image. You can preview several options before finally clicking on one to select it. You can see that the lower options are all in the brightness/contrast category, which makes them ideal. However, they are simply presets. You can get greater control over the lightness (or brightness) of your picture by clicking on Picture Correction Options, at the bottom. When you do so, the Format Picture panel opens up on the right of the workspace, with the Picture Corrections tab open. You can also choose some presets for sharpen/soften and brightness contrast. At this point your best bet is to start playing around with the sliders for sharpness, brightness and contrast. Dragging a slider to the left will decrease its value whilst dragging the slider to the right will increase it. You can also enter a specific number into the corresponding input box, which represents a percentage. 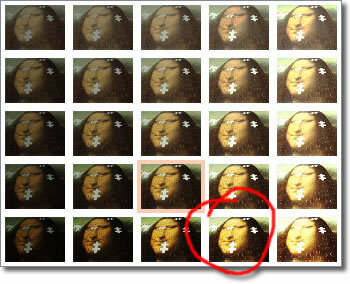 Often, you will find it necessary to increase the contrast a little when increasing the brightness of an image.